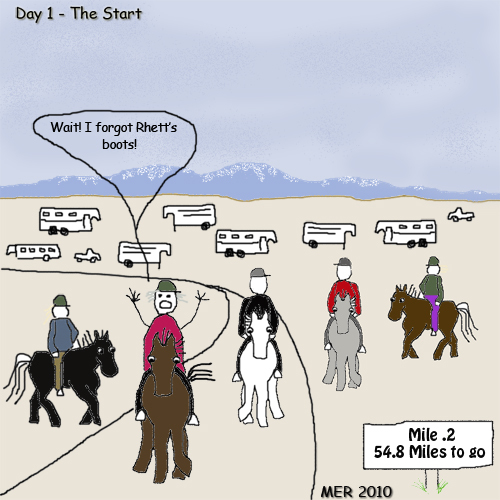 Steph's Endurance: Owyhee Hallowed Weenies Day 1... Guest Cartoonist! 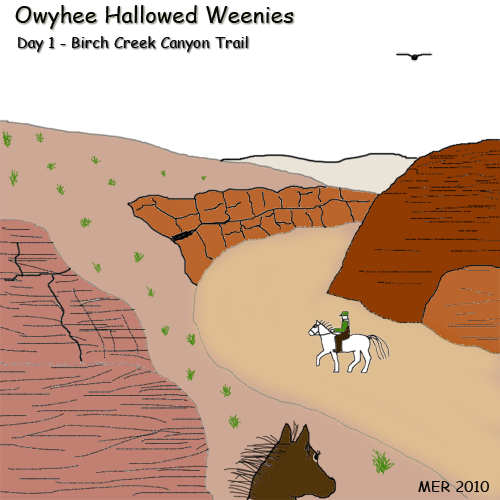 Owyhee Hallowed Weenies Day 1... Guest Cartoonist! 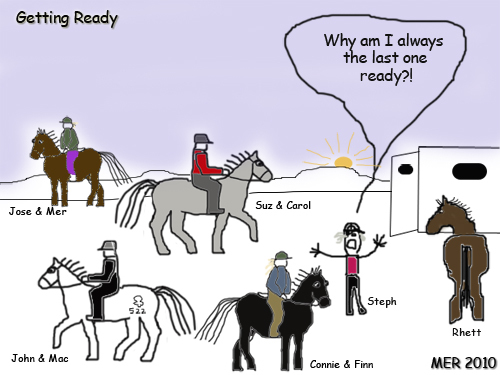 Steph (Steph's Endurance) said she's starting to see life in cartoons - hence the change from reporting to drawing about her adventures! 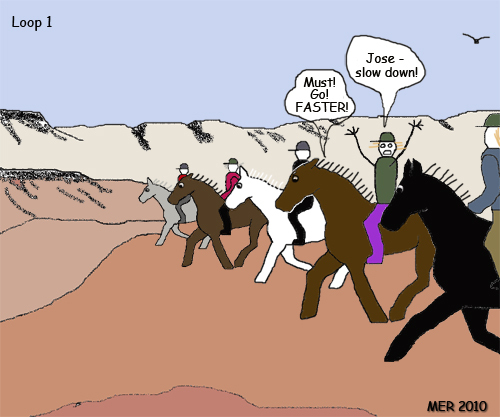 The Pickett Creek Brigade all saw in cartoons, after the Owyhee Hallowed Weenies ride last weekend. Some of us threatened to be guest cartoonists, since Steph jumped a plane next day to Malaysia, then Chile, for her next adventures. I actually did it, making a stab at summing up the ride, cartoon style. It's a bit slow going... the ideas are there, but bringing them to life in Photoshop is a challenge, and a learning experience (I don't read instructions : ). And fun. Just slow. I mean, why draw with a pen and paper when I can use a wobbly hand and a mouse in photoshop, winging it as I go along as to which tools, layers, sizes, blah blah, etc, to use?